Like many historic hotels, the Geiser Grand Hotel in downtown Baker City has seen many lifetimes. 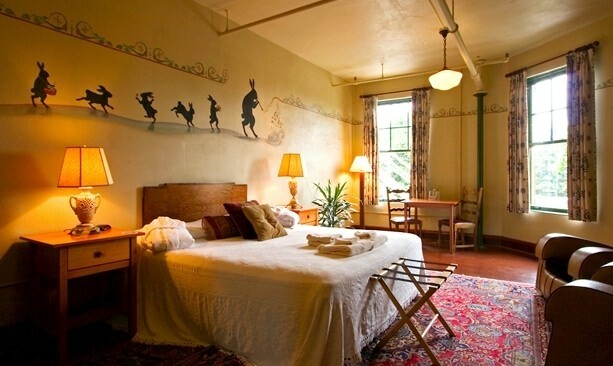 First built as a hotel for rich miners in the 1880s, it was a place for high rollers to party. Luxury abounded through Prohibition, until it fell into disrepair in the late 1960s. A full restoration in the 1990s brought it back to life — quite literally; guests have since reported eerie sounds, apparitions and feelings of paranormal activity — which many believe to be the lost souls of former dancers, chefs, flappers and other late characters of the property. Some have reported trouble getting into their rooms; some say the ghostly presence has given them pains in the head and body. Is it haunted? That’s for you to find out. Here’s where to visit some of Oregon’s spookiest spots … if you dare. 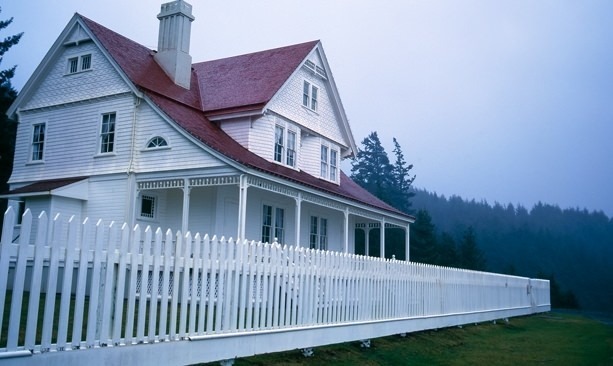 At the Heceta Head Lighthouse in Florence, guests can stay at the old lightkeeper’s quarters, now a quaint bed & breakfast with turn-of-the-century rooms. If you stay here, however, you could meet Rue — the wife of lighthouse keeper Frank DeRoy in the 1890s. As the story goes, Rue had a daughter who died tragically during her time there. Guests have reported the scent of flowers or rose perfume out of the blue, or seeing an imprint on their bed as if from a moment before. Some call it the one of Oregon’s most haunted spots and one of the most haunted lighthouses in the U.S.; others just call it spirited. 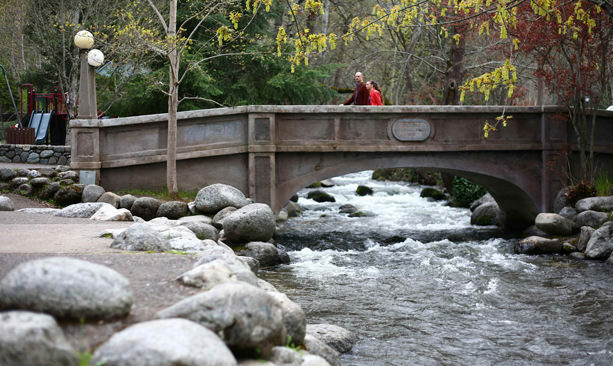 Lithia Park is considered the “crown jewel” of Ashland — and it may have some haunts. Lithia Park is often called the crown jewel of Ashland, with forested trails that makes it one of the loveliest places to see the leaves turn in autumn. It’s also one of the most haunted places in town, where visitors have reported seeing apparitions of three specific types. One is a pulsating image of a young girl who was reportedly killed at the site more than 100 years ago. Another is a “dog-faced boy” who lived in the area in the 1920s but one day mysteriously disappeared. Yet another is a logger who met an untimely death, crushed by a tree. Some say they can sometimes hear a faint whistling song — thought to be the tunes he would sometimes play on his favorite instrument, fashioned from an old milk jug. 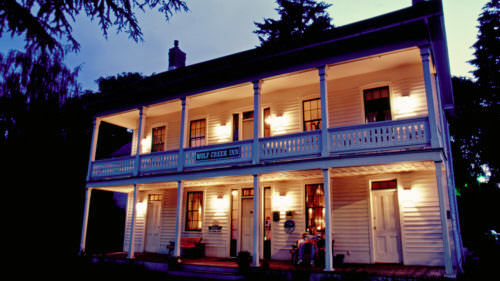 McMenamins Edgefield in Troutdale is a beloved spot for concerts, weekend getaways or lazy afternoons sipping wine or beer. But it has a sordid past. Built in 1911 as the Multnomah County Poor Farm, the original site housed an eclectic mix of people who worked on site at the farm as well as at the laundry facilities, hospital wing and jail. In the 1950s, it took in tuberculosis patients, then children with mental health issues, the aging and infirm. 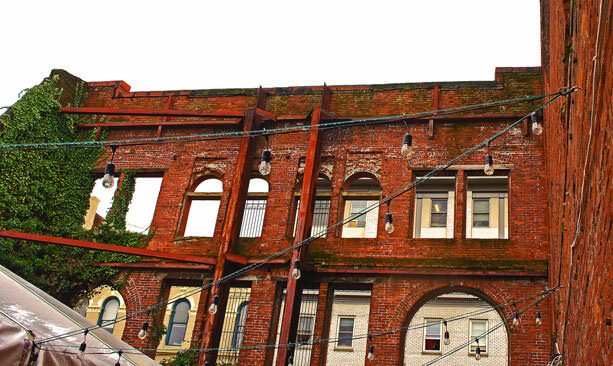 For some time the building shuttered and fell into disrepair until the McMenamin brothers bought it and reopened it as Edgefield Winery in 1990, slowly adding the brewery, movie theater, guest rooms, golf course, landscaping and more. 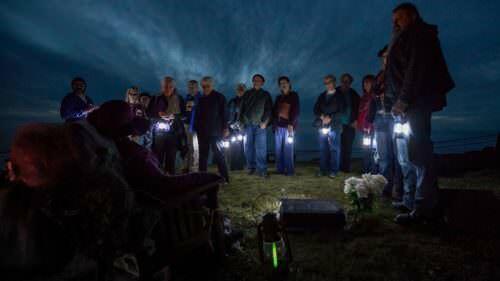 Today, some still feel the eerie presence of those who’ve died there — many of whom are believed to be buried in unmarked graves on the property. 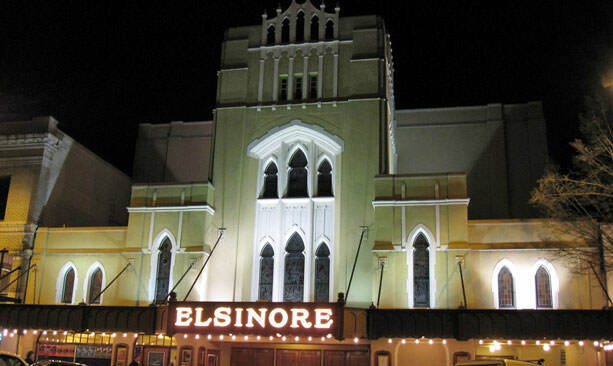 There’s a legendary “cold spot” on stage at the Elsinore Theatre in Salem, the 1930s-era historic landmark that was once considered the finest theater between Portland and San Francisco. In its heyday, the theater attracted stars like Clark Gable, John Philip Sousa and Doc Severinsen, who as a child played trumpet for the Mickey Mouse Club Matinee, which also used the space for auditions. Visitors have long reported feeling the close presence of lost souls and hearing their voices too. 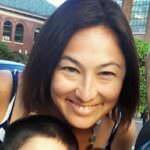 Some surmise it could be theater owner George Guthrie or his daughter, who reportedly fell to her death from the balcony. Today the theater is a popular venue for shows of all types. If you love a good dark tale, you’ll get a thrill out of the Shanghai Tunnels tour in downtown Portland. Visitors head underground into the series of secret passageways built 100 years ago, leading from today’s Old Town/Chinatown district to the Willamette River. As legend has it, the tunnels were used to kidnap sailors to serve on a ship’s crew, by plying them with liquor first. Some say those tales are exaggerated, but there’s no lack of chilling stories about the tunnels being used for gambling and opium parlors and other clandestine activities. Are the tunnels haunted? There’s only one way for you to find out for yourself. 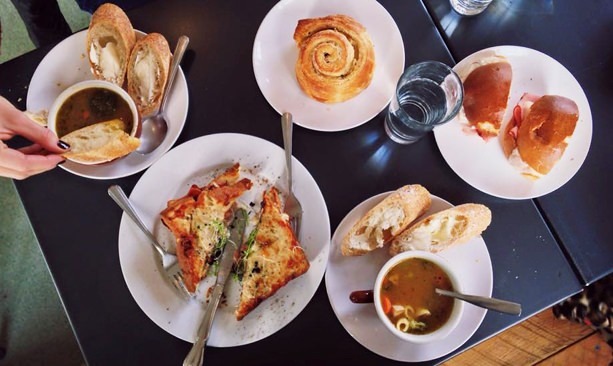 The Sparrow Bakery attracts the non-spooky with its world-famous ocean rolls and more. Cheery landscaping surrounds the peeling brick facade at Sparrow Bakery in Bend, known for producing crave-worthy ocean rolls and other breakfast delights. But some bakery employees report ghostly encounters they’ve had in the space, which used to be an iron works foundry and a payroll office with a giant vault. The bakery ghost — whom workers have named Jackson — has the peculiar habit of sneaking bread and opening and closing doors. Those who have encountered Jackson assume it’s the restless spirit of one of the payroll workers from decades past. For more on Oregon’s infamous haunts, check out these spooky reads: “Ghosthunting Oregon,” by Donna Stewart; “Ghost Hunter’s Guide to Portland and the Oregon Coast,” by Jeff Dwyer;” “Oregon Myths & Legends, the True Stories Behind History’s Mysteries,” by Jin Yuskavitch; and “Ghost Stories of Oregon,” by Susan Smitten. 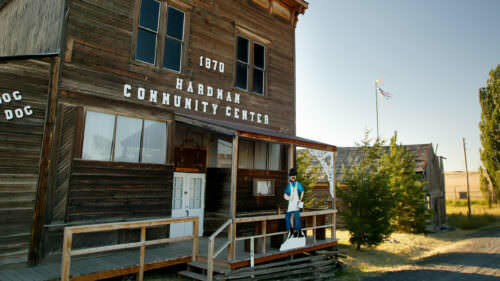 And let these travel tales of Oregon’s ghost towns inspire your next supernatural adventure.